Women Business Leaders: Do You Have a Social Media Crisis Plan? Using social media to respond to a crisis is timely and effective, but your response must be deliberately managed and controlled. A well thought-out crisis plan should not only inform your audience that you care – it should also pay attention and respond to online conversations. Basically, you need to be prepared for an emergency or crisis so that you have a well-crafted and sensitive response to situations that could be difficult or stressful. The time to craft these statements is not when you or your business is in the midst of a crisis, however. Chris also notes that even if you don’t have all the information, it’s better to say you are trying to find out rather than offer no statement at all. A timely, “we are looking into it now,” shows that at the very least, you acknowledge the situation and are concerned. Chris notes that this is the hardest concept for companies facing a crisis to understand. “When you have herds of media knocking at your door,” says Chris, “it’s hard to remember that the public really doesn’t care about you.” They want to know what happened and what you are going to do about it. 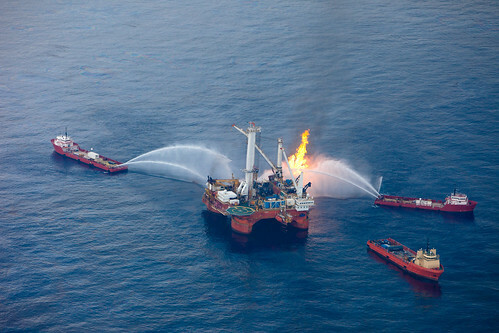 Think about the 2010 oil spill in the Gulf of Mexico and how BP mishandled the early responses. This entry was posted on Sunday, December 2nd, 2012 at 9:00 am	and is filed under Branding, Leadership, Marketing, Social Media. You can follow any responses to this entry through the RSS 2.0 feed. You can leave a response, or trackback from your own site.